«Our main problem is about environment», Vladimir Potanin, company president and main owner, says in a comprehensive interview with newspaper Vedomosti. «The resolution of this problem is absolutely necessary, it is overdue both for the company and the regions where it is present», the powerful businessman adds. According to Potanin, Norilsk Nickel is to be completely transformed, from being a major polluter to becoming «a role model for environmentally friendly companies». The newspaper interview was held on the eve of 2016, as Russia was entering a new year, by President Putin branded the «Year of Ecology». Among the measures highlighted by the Norilsk Nickel boss is a possible closure of the smelter in Nikel, the border town in Murmansk Oblast. According to Potanin, the closure could be put in effect after 2019. «We are ready to go further, and consider the possibility to close the smelter in Nikel in the Kola Peninsula after 2019», he says, adding that the process could be made in the same way as a recent closure of a nickel plant in Norilsk. «This must be accompanied by a serious social program, which not only depends on money», he underlines. «Together with local authorities we have to see how to proceed, offer people alternative jobs, and develop a program on social adaptation». It is all rooted in a huge investment program, which has a cost frame of $13-14 billion and which is to be completed by year 2022. The key challenge for the company is how to catch 1,5 million tons of sulphur emissions, Potanin underlines. The company now assesses two possible approaches, either to turn the waste sulphur into elemental sulphur or sulphuric acid. By the end of 2017, a decision will be made on which of the two alternatives to choose. Then follows several years on program implementation. «I see this as the creation of a bridgehead for the attack of the environmental problems», Potanin says to Vedomosti. It is not the first time Norilsk Nickel announces major efforts to restructure its highly polluting industry. However, little success appears to have materialised so far. The company remains Russia’s most dirty with emissions amounting to almost two million tons of sulphur dioxide. Company stronghold Norilsk, an Arctic city with a population of more than 170,000, is considered one of Russia’s most polluted places. 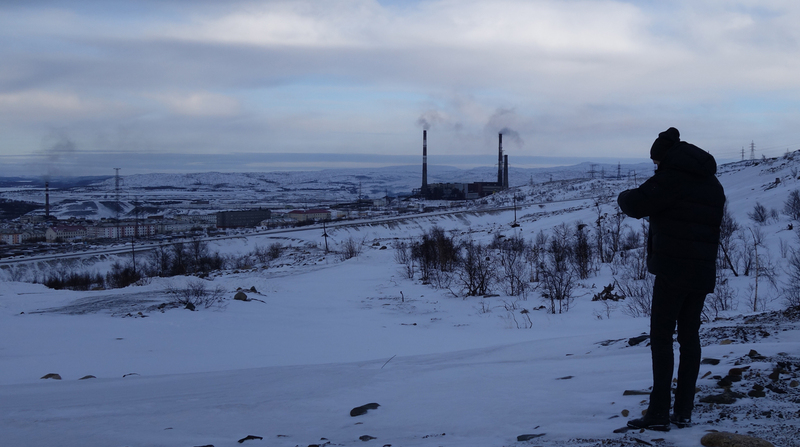 In the Kola Peninsula, the towns of Monchegorsk, Nikel and Zapolyarny all experience massive environmental problems. Norilsk and Monchegorsk will remain the company’s two priority areas. A part of the new development program is the separation of the company into four units, or «clusters», each of which will have their autonomous business models and management structure. The first cluster will include the company’s core assets in Norilsk, as well as the plants in Monchegorsk in the Kola Peninsula. The remaining assets in the Kola Peninsula will become part of a separate cluster, Vedomosti reports. The new Kola cluster will be oriented towards the European market, including the company’s subsidiary in Finland, the Harjavalta plant. According to Vladimir Potanin, the new Kola unit could ultimately send parts of its concentrate to Norilsk for further processing. And he excludes the construction of any new smelters in the Kola Peninsula. The volumes of extracted local ore in the area is insufficient for such an investment, he argues.